1952 Bassman Amp. This amp has been recovered in tweed and fitted with a later-era woven grille. 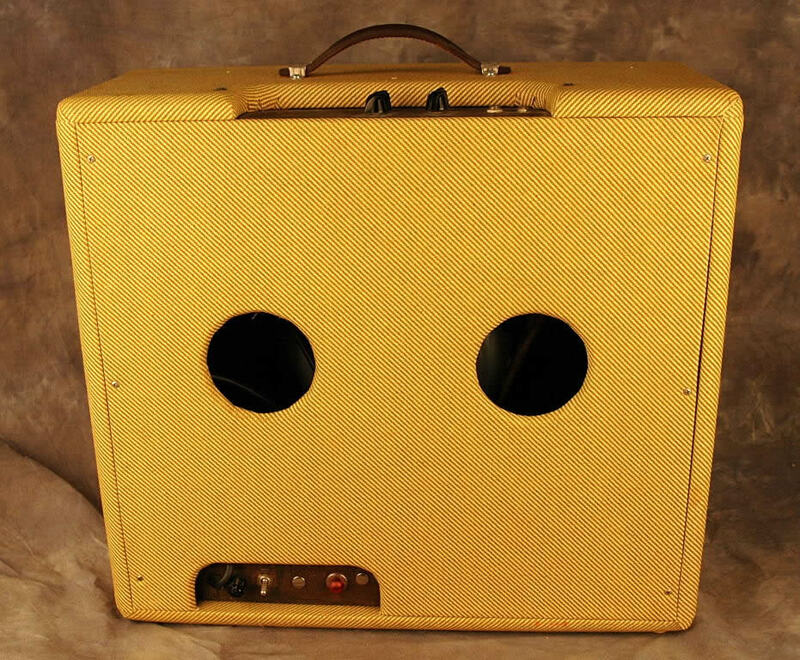 It is notable for its construction which was unique to this early model Bassman (1952-54). The heavy transformers and copper chassis assembly were placed on the bottom of the amp cabinet. 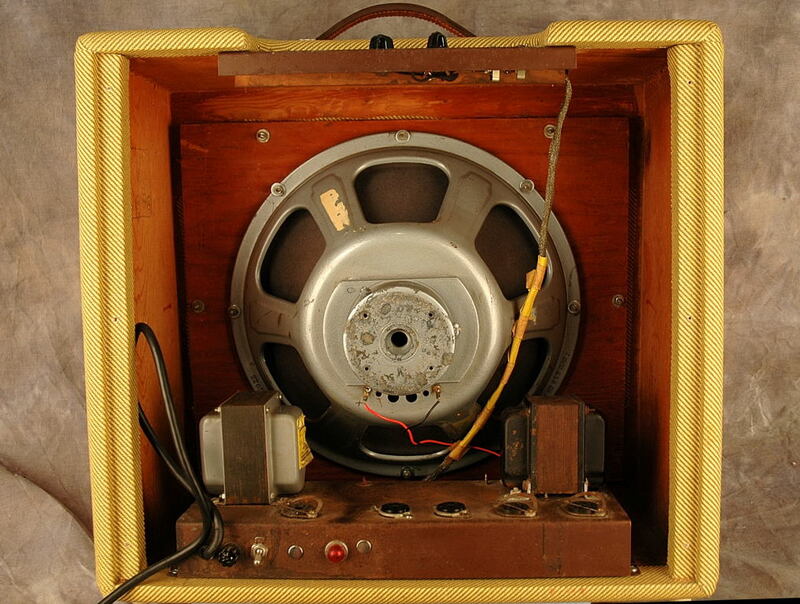 An internal “umbilical cord” linked the chassis to the volume and tone controls at the amp top. This amp has a silver Jensen 15” speaker and two “port” holes in the back cover to better control the diffusion of sound. The copper chassis and upper control panel are badly corroded on this example; again, the use of copper instead standard chrome metal was a departure by Fender. This also was the first amplifier made by Fender specifically for the bass guitar. (Fender produced the first electric bass, the Precision Bass, in 1951 and it needed an amp.) No tube chart or Fender serial number can be found on this amp, though the control pots date it to 1952.